Life is full of unexpected twists and turns. If only there was a way to know what’s waiting around the next bend. It was fascinating to see how Toby developed over the course of the plot. My first impression of her was of someone who was sweet and innocent. While her personality definitely included those traits, she had much more going on beneath the surface than I originally assumed. Peeling back these layers to get to know the real Toby was satisfying. The cast of characters was incredibly large for a story of this size. I had trouble keeping track of all of them, especially when it came to individuals who only played a peripheral role in the plot. It would have been helpful to either have fewer characters to keep track of or to have their names and relationship to the protagonist listed in a glossary somewhere. Noah and Toby’s relationship was well written. Once I adjusted to the kind of banter they liked to use with one another, I began noticing the warmth behind their words. They had such a rich history that their friendship was unmistakable and rooting for them to become more than just friends was unavoidable. What really made the romance work for me, though, was how Ms. Dean approached the obstacles that threatened to keep these characters apart. The reasons why they might not make a good match were realistic and serious. 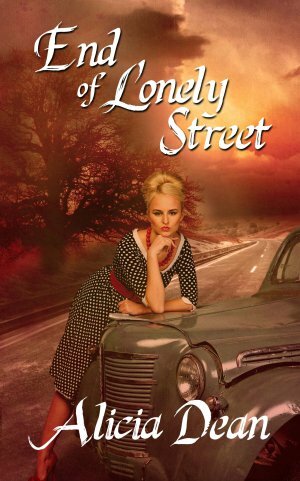 I’d recommend End of Lonely Street to anyone who is interested in taking a sneak peek into what it was like to live in the 1950s.